Having the opportunity to capture Baby M's birth was amazing. Tiffany was awesome in the delivery room. Calm, steady and totally present in the moment. And though it was the wee hours of the morning, she was strong and focused. It wasn't long before it was time to push, and Baby M made arrived soon after that. The moment Tiffany laid eyes on her sweet boy was beautiful. Joy covered her face and she looked on him with love. That "first look" is why I love birth photography. There's nothing like it. And although it's quick, it's one of the sweetest moments she'll ever experience. Born at 4:22 a.m., this sweet boy weighed over 9 pounds and measured just over 21 inches long. Welcome to the world, Baby M! And congratulations to Patrick, Tiffany and their family! Thank you so much for trusting me to capture these special moments for you! Expecting a baby and interested in birth photography or a Fresh 48 session? I'd love to talk with you! Please contact me here. After much waiting, Baby C finally decided he was ready to make his way into this world early one morning. With their two other kids, Nick and Lundee found out the gender beforehand, but with Baby C they decided to keep it a surprise. While they went back and forth on what they thought he'd be during Lundee's pregnancy, girl seemed to be the consensus most of the time. So much to their surprise, when this 9 lb. 5 oz. babe entered the world, it was a boy! Just hours after Baby C was born, big brother and big sis were excited to come meet him as Gramme and Grandpa brought them to the hospital. 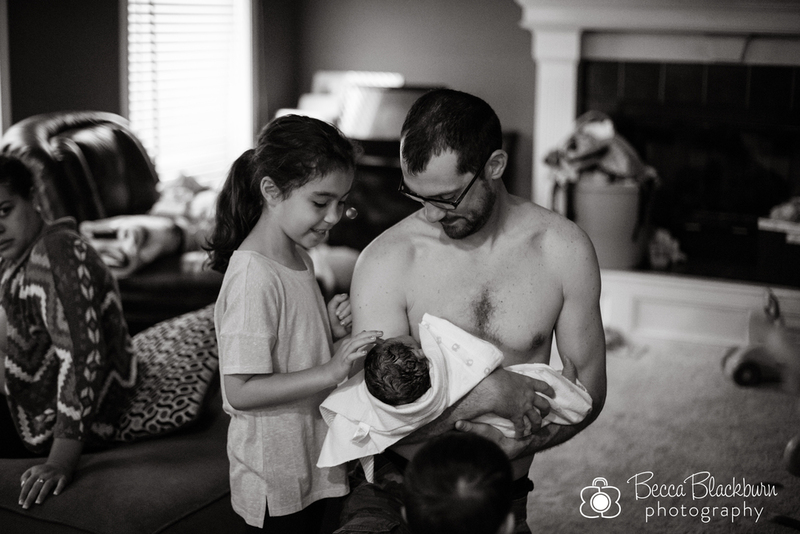 In their Fresh 48, I was able to capture some of their first moments as a family of five. 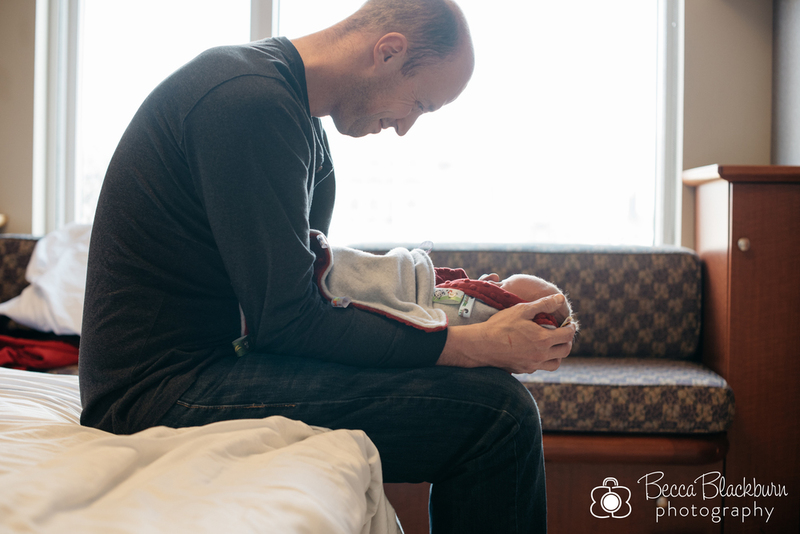 Some of my favorite shots were those as Daddy wheeled in the bassinet for their first time to meet baby brother. Their faces are so curious. Here are some favorites from Baby C's Fresh 48 session. Expecting a baby soon and interested in a Fresh 48 session or birth photography? Please contact me, I'd love to talk with you! "Friends gather here" hung above the entrance to the room in which Ryann bravely delivered baby Atlee, and it so well described the atmosphere of the night. As Todd and Ryann waited for their baby girl to make her arrival, some of their closest friends and family gathered around to encourage them, help them and celebrate with them once she arrived. Ryann texted me around 8:30 Wednesday evening saying it was time. I arrived around 9:45 as they were filling the birth pool with hot water. Watching Ryann labor was beautiful. She calmly endured contraction after contraction, in between enjoying the jokes and stories her friends and family shared. I remember her saying they were a good distraction from the pain, and they were by her side the entire night. "We were pretty certain that we wouldn't make it to April, but clearly our little girl had a plan of her own. After months of hoping she would stay put just one more day, she arrived exactly 5 hours and 50 minutes late for her daddy's birthday. Dare I say she gets that from me? It was tax day 2015. The day started like each of the days before, except I just felt like today had to be the day. I'd begrudgingly gotten ready for work. But I wasn't going to wear dress clothes, it was going to be a comfy kind of day. Because after all, I was 40 weeks pregnant ... and still pregnant, which, for me, was typical. In two of my last three pregnancies this was how it went. I woke up the morning of my due date and felt completely normal, yet I also felt a strange sense of impatience and stranger still a calm. It was like my body and my spirit knew today would be the day even if my head was getting the best of me. I sat and finished what I was determined would be my last project while listening to Motown Pandora and bouncing on a large medicine ball. At the same time, I was timing contractions and intermittently taking walks around the Crossroads District and making calls to my midwife, father, and husband to make sure they knew things were finally happening. My two best friends had already been in the loop and knew things were happening and what to do when things got going. After hours of my coworkers asking if I thought I should leave, I reluctantly clocked out from my 8-hour shift at 4 p.m. (if I was still pregnant, why not keep working?) and headed home. Our gracious roommates were keeping their two nieces and one nephew on top of our normal shared crew of five. So the house was alive with the buzzing of children and excitement of possibility. I finally decided to shower and try to test out the consistency of my contractions. Sure enough, after about 30+ minutes of hot water running over me and being calm, the contractions just kept coming. Around 7 p.m., I conceded and called our midwife and told her she should probably make her way over just for good measure. My best friend and roommate had cleared out our dining room for the birth pool and nervously cleaned in preparation for the birth. 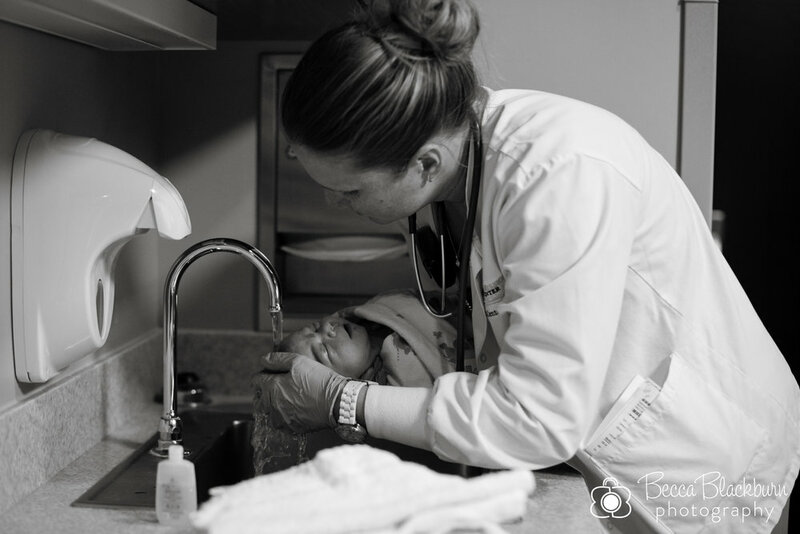 When our midwife got to the house, we sat and chatted, and she observed me and my demeanor and how I handled the contractions. Around 9 p.m., we decided that it might be a little while yet as I was only dilated to maybe a 5. As the night wore on, I was surrounded by all the people I love the most: My very best friends, my husband and kids, and my family. At one point, the midwife came up to me and looked slightly concerned and asked "Do you want everyone here? Do you want the lights off? The music turned down?" I smiled at her slightly confused, "No," I responded, "it helps calm me. Their presence is exactly what I need." And it was true. Enjoying the excitement of the moment and soaking in each memory with everyone who was excitedly waiting for our sweet little girl was, for me, perfect. The night wore on and my patience was being tested by my body and my sweet little girl. They were working perfectly together, but I was ready now. 12 a.m., 1 a.m., 2 a.m. passed, all with tolerable, very mild contractions and slow progression. By 3 a.m. and 4 a.m. I was tired, achy, and starting to wonder if she was, in fact, going to come. Then 5 a.m. came and the contractions had become intense. Deep-breathing, no-talking, struggling-to-concentrate intense. The birth pool became my sanctuary. Its warm water surrounded me and made my body seem weightless. My husband got into the pool with me. Once I finally found a position that made me comfortable, the urge to push took over. One push, POP! ... my water broke. It is the strangest sensation when you're already submerged in water. Following the pop was a contraction that made me lose all sense of focus and calm. It was painful. I struggled to regain my focus and any sort of calm. All I could muster in that moment was the want to meet the little one I had dreamed of and for her to be OUT. Push two, her head ... A pain like I can't describe while waiting for a third contraction to find relief. Push three. Our world shifted. And in my arms was a beautiful little girl—the little girl we'd waited 9 long months for. Atlee Wynn had finally come earthside at 5:49 a.m. on April 16 to complete our family of now 6 in the comfort and love of our home. Her timing was her own and it has been every day since. She picked her own birthday just as I wanted her to. But she also honored and blessed us beyond measure by picking us to be her family." Expecting a baby? 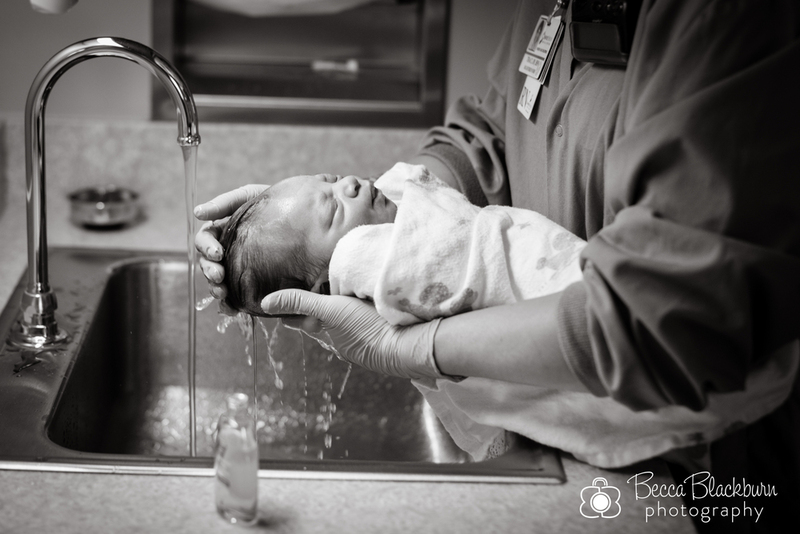 Births are one of my favorite things to photograph, so please contact me if you're interested. I also do Fresh 48 and newborn sessions if that's more your style, too! I've always loved taking pictures. One of my favorite things about it is the ability to freeze a moment in time, then later looking back at that photo and remembering it. The emotions, the feelings, the smells, the touch, the joy, the event of the day. Last October, I gave birth to our first child. Leading up to his birth was quite a journey for my husband and me. Getting pregnant didn't happen right away like we'd hoped. It took months of trying, praying, waiting and feeling like our struggle would never end. Once we were pregnant, it was a new journey — one filled with fears that something might go wrong. Doubt that my body could do this and fear that we'd lose the little life growing inside. Our faith grew a lot during those nine months. Then, on a Monday morning in October, our time had come to meet our little one face-to-face. Of course, photos were a must for me. That morning was a blur. It went so slow but so fast at the same time. After what (thankfully) was a fairly short (but intense!) labor, it was finally time for us to meet our little man. As the doctor held him up for us to see for the very first time, I experienced a sense of joy unlike anything I'd felt before. Tears ran down my cheeks and my heart was full. We made it. He was here and he was healthy. God was faithful. He was ours. I have a picture of that exact moment I saw him. Our "first look." Every time I see it, my heart wells up again. I am reminded that God is faithful. I feel that joy again. And I remember that moment vividly. I also remember the sweet, tender moments that followed. Him grabbing onto my hand immediately and not letting go. My husband holding him for the first time and beaming with such pride. And the tiny, fresh features of his body that we adored that day but that changed so quickly. Ever since, I've had a desire to provide other families with photos like these. Telling their unique stories and helping them freeze those moments in time. 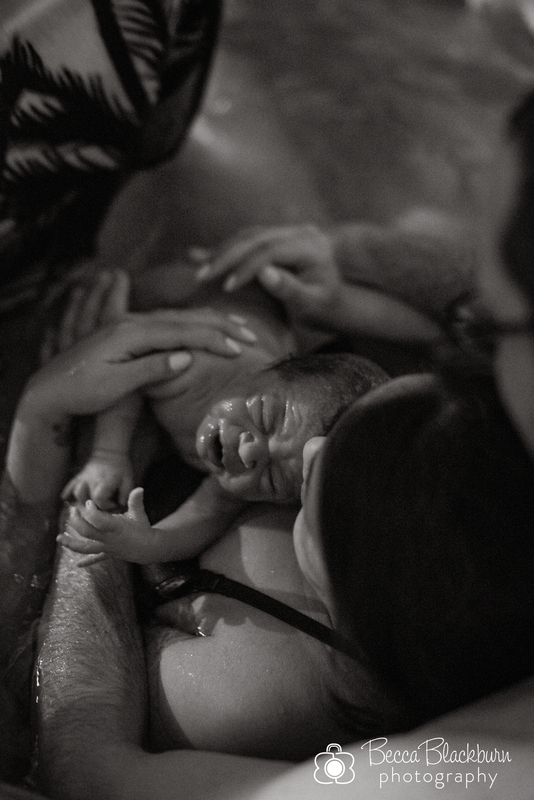 Last week I had my first opportunity to photograph a birth, and it was beautiful. I can't wait to share it with you soon. 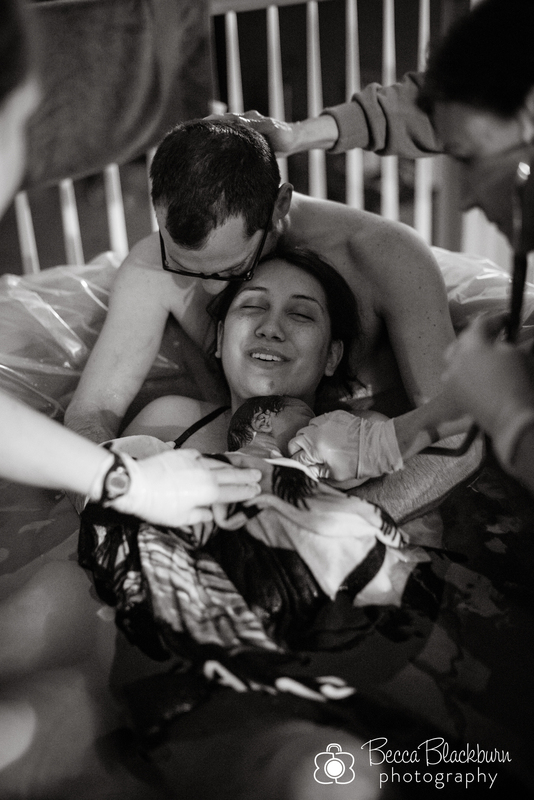 In those photos I captured love, joy, pain, accomplishment, and the first tender moments between parents and their child. 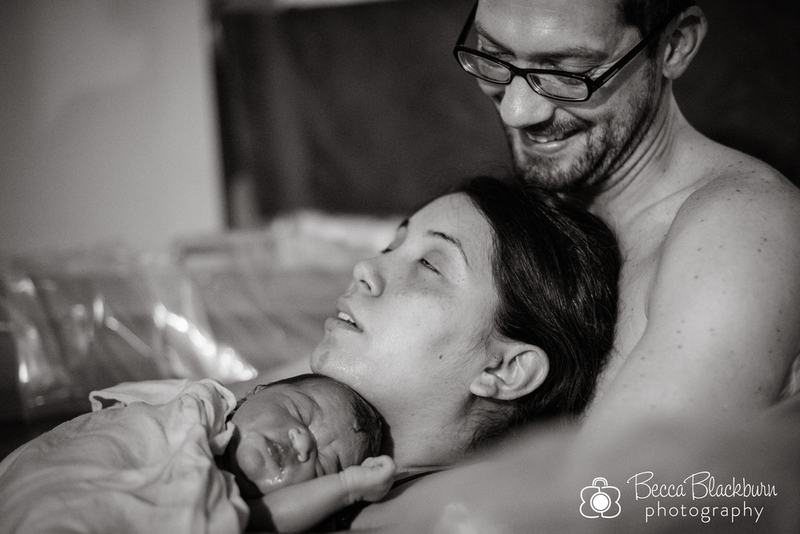 It was truly an honor to be in the delivery room with this family. If you're expecting a baby soon (congratulations!) 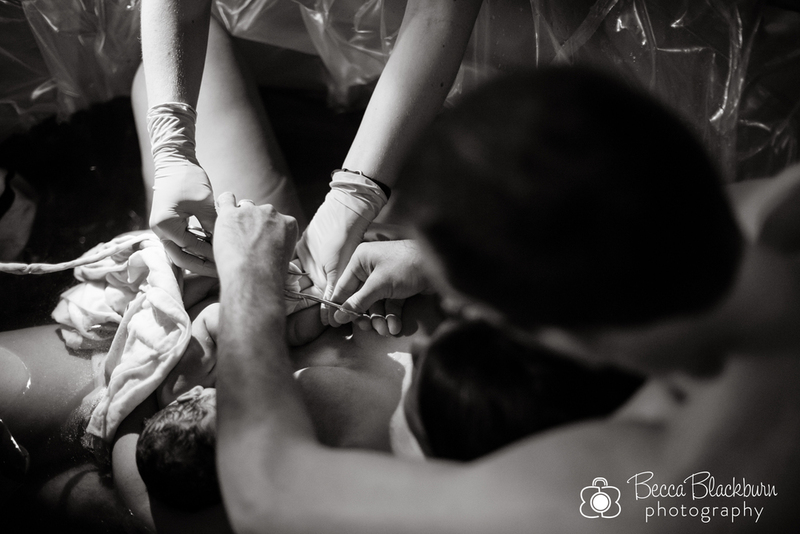 and are interested in birth photography, I'd be honored to capture your day for you. No, I don't take photos of the gross stuff. Honestly, I'd prefer not to look "down there" either. I am focused on your faces and the details that make the day yours. I'm telling your story so that once the day is over, you can relive it again and remember parts that may have slipped your memory. Because days like that are ones that make you wish you could stop the clock or make time go in slow motion. But since that doesn't seem to be possible, I would be honored if you'd trust me to photograph it for you so that once it's over, you can walk through it again and again and celebrate every wonderful moment. Here are a few photos from our special day. If you're interested in birth photos or a Fresh 48 session (photos of you and your baby within the first 48 hours after birth but not in the actual delivery room), feel free to contact me. I'd love to talk with you!